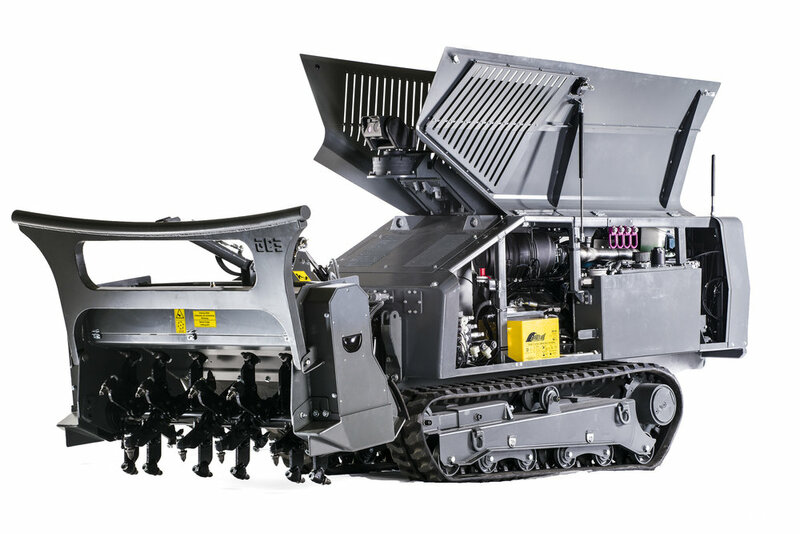 The most versatile, compact and easy-to-use remote-controlled explosive ordnance disposal (EOD) platform suited for mine and IED clearance in ultra-rugged, hard to access and urban environments. The GCS-100 is the smallest of our two available platforms and outperforms any similar product on the market. It’s a versatile, compact, remote-controlled platform suited for Technical Survey, Anti-Personnel minefields, C-IED, Runway and Route Clearance in ultra-rugged, hard-to-access urban environments. Quick and easy access to crucial components is vital when operating in unstable environments lacking a local infrastructure. Our falcon wing doors do exactly that. Safety comes first. The GCS-100 offers advanced stability when operating the machine with heavy attachments thanks to the well-balanced weight distribution. When operating in the field, the outer shell protects all precious components. 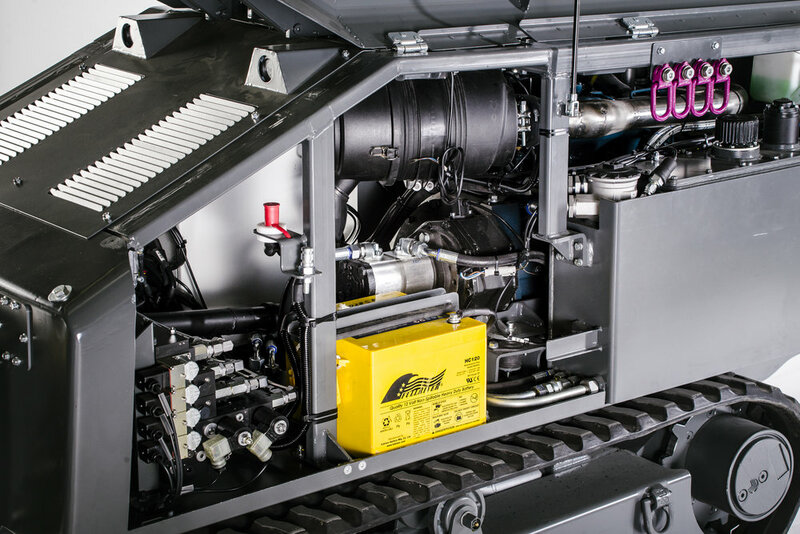 The electronic units, the camera system, the exhaust pipe and the lifting lugs are all securely attached or integrated underneath the outer shell. The fire extinguisher is safely embedded in an indentation of the GCS-100. The pan–tilt–zoom (PTZ) camera system offers an adjustable camera arm that can be moved horizontally and vertically while operating for more flexibility and better visibility plus a back-up fixed-angle reversing camera. During transport the camera can be lowered into a secure position. The system also includes infrared (IR) and thermal capabilities. 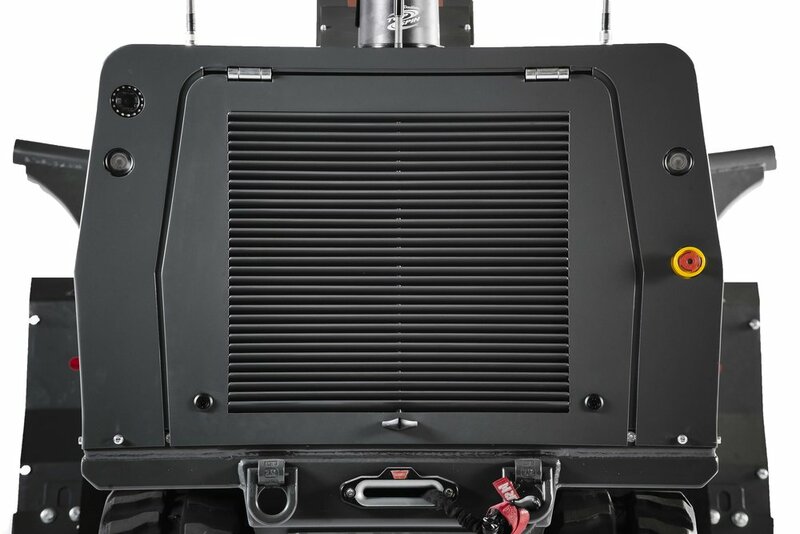 The large-area cooling system from back to front ensures the complete cooling and greater longevity of all components, as well as faster and more effective cooling of the engine. The GCS-100 features a modern, distinctive and sophisticated design that is in line with the GCS-200 product family. 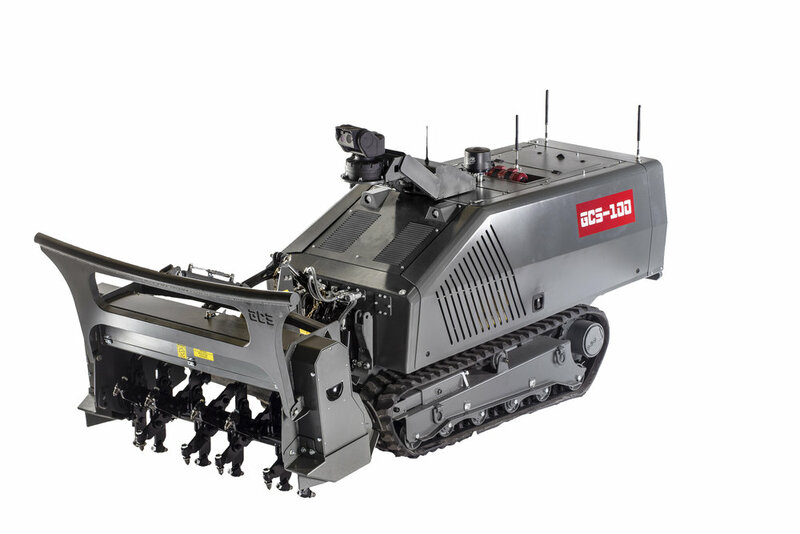 The GCS-100 can be fitted to C-IED, Mine Clearance and Runway Clearance configuration. Other configurations upon request. The GCS-200 - our multi-purpose, unmanned EOD platform for heavy-duty clearance tasks with maximum survivability in high-threat environments. GLOBAL CLEARANCE SOLUTIONS © 2019. ALL RIGHTS RESERVED.